This month is the Trend Issue of Better Homes & Gardens magazine. It has about a dozen pages about “What’s next in Home, Garden and Food”. We’ve always been drawn to the bright and shiny. 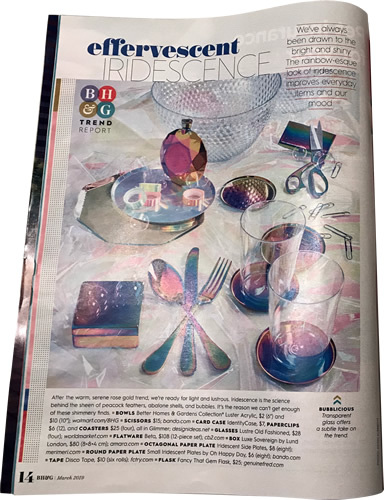 The rainbow-esque look of iridescence improves everyday items and our mood. After the warm, serene rose gold trend, we’re ready for light and lustrous. Iridescence is the science behind the sheen of peacock feathers, abalone shells, and bubbles. Posted on February 21, 2019, in Bath Lighting, MonoRail. Don’t Let Your Lighting Age You! House Beautiful’s regular feature The Essentials; Solutions for the Busiest Rooms in the House tackles bathrooms in the February 2017 issue. Posted on January 16, 2017, and tagged bath, bath lighting, bathroom, lighting plan, planning a room. For many of us, the kitchen is the most important room in the house. It’s not just where we cook. It’s the center of family life. It’s where the children play with pots and pans and do homework. It’s where we hang out and talk. Posted on January 10, 2017, in Kitchen Lighting, MonoRail. Statement-making versions are the new paradigm for lighting an island. Posted on November 26, 2016, and tagged kitchen lighting, mini pendant, monorail, pendant, track lighting. Monorail lighting is a great choice for many homes. If you are looking for a simple monorail layout, a monorail kit might work for you. These kits have all of the hardware you need for most basic layouts and include pendants or fixtures. Tech Lighting now has these great new kits! 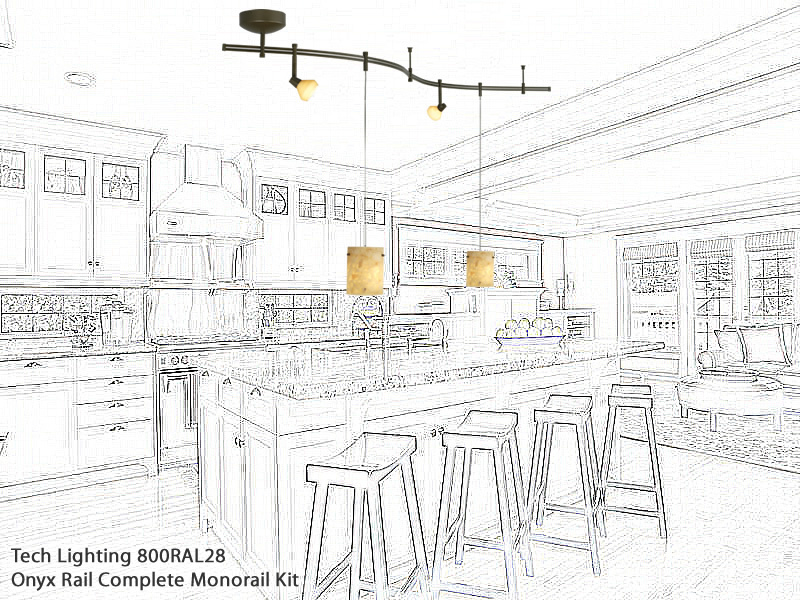 Posted on March 8, 2016, and tagged kitchen, monorail, monorail kits, tech lighting. 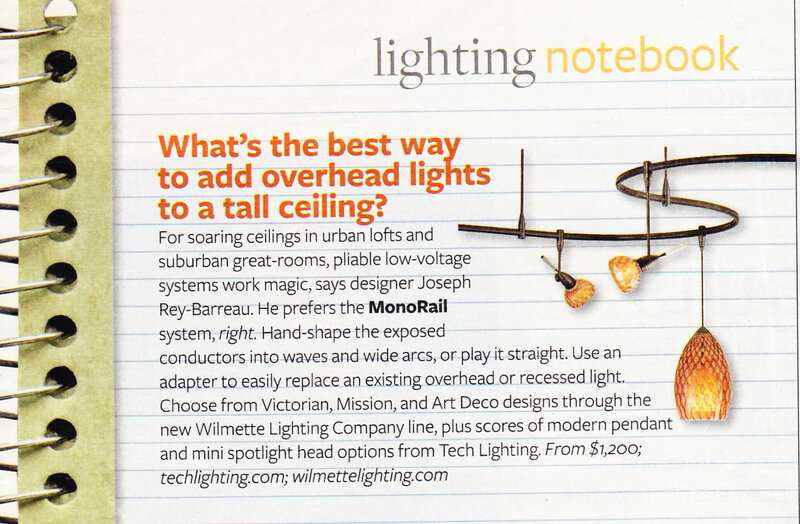 Monorail is a great choice for a high ceiling. What’s the best way to add overhead lights to a tall ceiling? 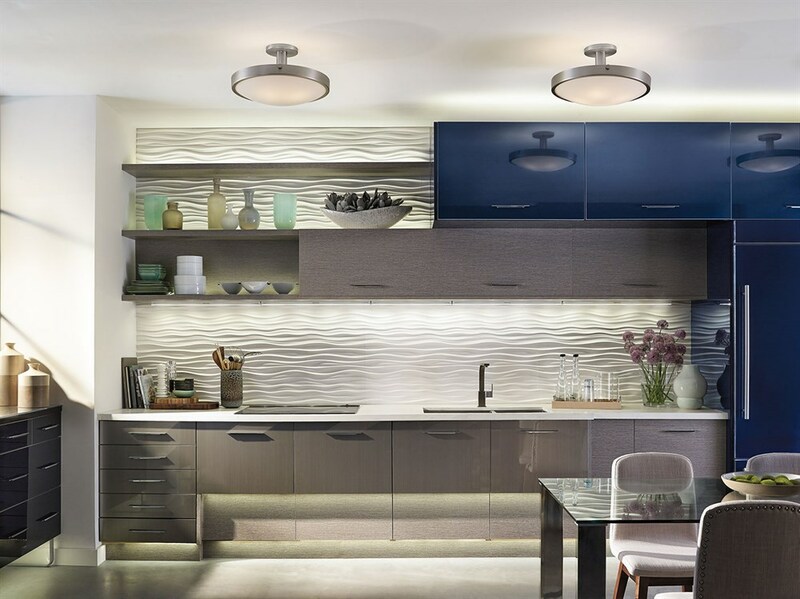 For soaring ceilings in urban lofts and suburban great rooms, pliable low-voltage systems work magic, says designer Rey-Barreau. He prefers the Monorail system, right. Posted on October 24, 2007, in Lighting, MonoRail.